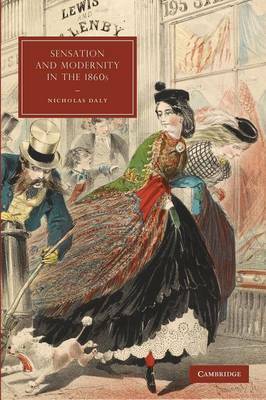 This book studies high and low culture in the years before the Reform Act of 1867, which vastly increased the number of voters in Victorian Britain. As many commentators worried about the political consequences of this 'Leap in the Dark', authors and artists began to re-evaluate their own role in a democratic society that was also becoming more urban and more anonymous. While some fantasized about ways of capturing and holding the attention of the masses, others preferred to make art and literature more exclusive, to shut out the crowd. One path led to 'Sensation'; the other to aestheticism, though there were also efforts to evade this opposition. This book examines the fiction, drama, fine art, and ephemeral forms of these years against the backdrop of Reform. Authors and artists studied include Wilkie Collins, Dion Boucicault, Charles Dickens, James McNeill Whistler, and the popular illustrator Alfred Concanen.